Cpl. 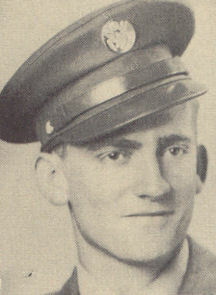 John C. Pitts, son of Mr. and Mrs. J. M. Pitts, graduated from Cons. No. 1 High School. Entered the Air Corps in 1944, trained in Sheppard Field, Truax Field, Wis., Chanute Field, Ill., Boca Raton, Fla.; served in Italy; is now on duty in Hobbs, N. M. Awarded ETO Ribbon with two Battle Stars, Pres. Unit Citation, Good Conduct Medal. (as per original 1940's publication).